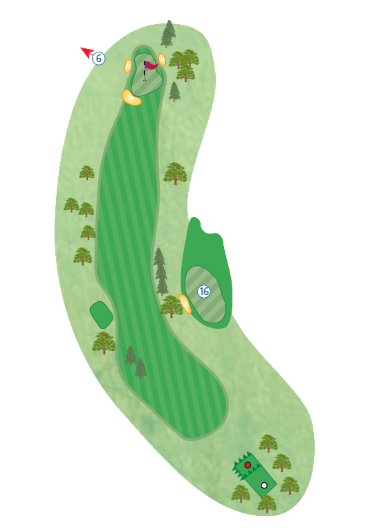 A short par 4, played sensibly can yield a good birdie chance. Sensible drive with a mid-iron or rescue club from the tee will leave no more than a 9 iron shot into the green. Don’t be fooled by the length of the hole as it leave a tricky green falling front to back.